Busy Bee Meets Boss Babes Part 5. With Rupa Singh. — The Busy Bee Productivity Coaching, LLC. Busy Bee Meets Boss Babes Part 5. With Rupa Singh. I'm so excited to introduce you to Rupa Singh! She is the next featured guest on the Busy Bee Meets Boss Babes Blog Series. Rupa and I have a mutual friend, Amanda Kusterer, who was also featured on this blog series! Rupa owns Love This, a shop on wheels in RVA! 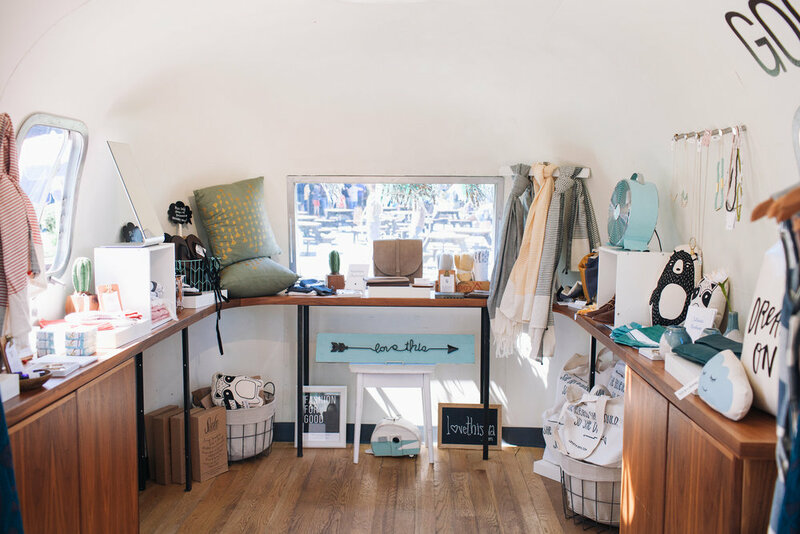 "Love This is a mobile boutique out of a vintage Airstream Trailer inspiring consumers to make ethical shopping choices. Curators of goods that do good, we highlight brands that place equal value in the design of their products as they do their social, environmental, + economic impact. Anyway, I'm honored to have Rupa on the blog this week. I just LOVE connecting with such powerful women, and it reminds me of why I started this business. Rupais a wife, mom and RVA business owner. I'm so excited to get a peek into her life as a boss babe, and can't wait to share some productivity tips and inspiration with you! I moved to RVA in 2008 and LOVE it here. I love the small and big feeling of it, and how everyone is connected and really wants to lift each other up. I have a super talented, hard-working and ambitious husband that owns his own biz, Fultz and Singh Architects, two little girls that make me uber happy, and a extended family who we are so lucky to have because they support our life choices. I own my own biz, Love This, and I work part-time for an architecture firm. What are some of your biggest responsibilities as a wife, mama and biz owner? Describe your daily routines that make you so productive! I wake up at 6 AM, have a glass of water and sit at my desk and work for 30 min to relive my back pain. Then I get my tea and breakfast, eat it while I work and then work on caring for my back for 45 min which involves stretching and strengthening via you tube videos. Then it’s back to work till 9. Hubz cares for the girls until then and from 9 till 12 the girls and I do our thing. That could be a playdate or swim lessons or coming with me to get my eyebrows threaded! We eat lunch at 12, it’s usually what I made for dinner the night before and around 1:30 my littlest one goes for nap. The older one and I have 20 min of amma and Rai time, when she picks what we do and I give her my undivided attention and do what she wants. Then I am back at my desk/airstream to work and she’s in quiet time next to me or gladly helping me in the airstream. When the littlest wakes we head to gymnastics class, or bike rides around the block or they both play without me and I make dinner (sometimes with their help). At 6 we dinner, if we are lucky, my hubz will make it home to join us (he works so hard) and yes, I complain about him not being around a lot, but he keeps reminding me it won’t be like this forever! We eat, clean clean clean, bathe if necessary, Pjs and brush teeth, read a few books and they are in their beds....then clean up whatever else needs to be put away and I crash on the sofa with netflix or am super motivated to work! What keeps you motivated when things get hard? -My kids, I feel a huge pressure to teach them to be good, kind, respectful humans that can pave their own path, do what they love and think outside the norm. -My husband, he is wise, unselfish, empathetic and so determined. I work to live to his standard cause I know it pushes me to do better. Tell us about your favorite productivity tools! My paper planner, I cannot live without it. My brain cannot remember anything anymore. I put my dates, lists, lists within lists, to dos, meal prep etc all in it. The Skimm helps me keep abreast of news; it’s quick and fun to read, and I get what I need to know. Podcasts keep me inspired (spirit of 608, the next Tuesday podcast how I built this). Each day is not a balance, I don’t crave equal in all areas, the percentages shift each day and I just want to feel like at the end of week, month, year that I feel whole and not pulled. And I don’t do it all by myself, my family is a huge help. I used to feel really pressured to take some “me” time. I never understood what that meant and I was trying to put it into my life, but it just didn’t fit. not in a state of quiet contemplation. When I get up in the AM, going straight to my computer to work is my “me” time, and I love it. Rupa, you're a rockstar! I admire your drive and passion, and I'm obsessed with your mission statement for Love This! My biggest takeaways from Rupa were that there is no "right way" to be a wife, mom or female entrepreneur. Even "me" time isn't for everyone! It's something I struggle with myself. love how she schedules time with her daughters, where they get to pick the activity and get undivided attention. I also admire her positivity, hustle and drive to succeed for her family. I also connected to the fact that she strives to meet her husband's standards, because I feel the same way about my husband! He pushes me to be a better ME, and I am thankful for that! Thank you, Rupa, for being part of this blog series! I look foward to getting to know you better!